On March 25, 2013, Cleveland Public Power (CPP) was recognized for its commitment to the highest degree of reliable and safe electric service by the American Public Power Association (APPA). CPP was honored with the Reliable Public Power Provider (RP3®) designation which recognizes public power utilities that demonstrate proficiency in four key disciplines: reliability, safety, workforce development and system improvement. Brent McKinney, chair of APPA’s RP3 Review Panel and manager, electric transmission and distribution at City Utilities of Springfield, Mo., (far left) are pictured with CPP’s RP3 Team co-captain Marcia Hines, Commissioner Ivan Henderson, co-captain Valerie Banks and Mike Hyland, APPA senior vice president, engineering services (far right). 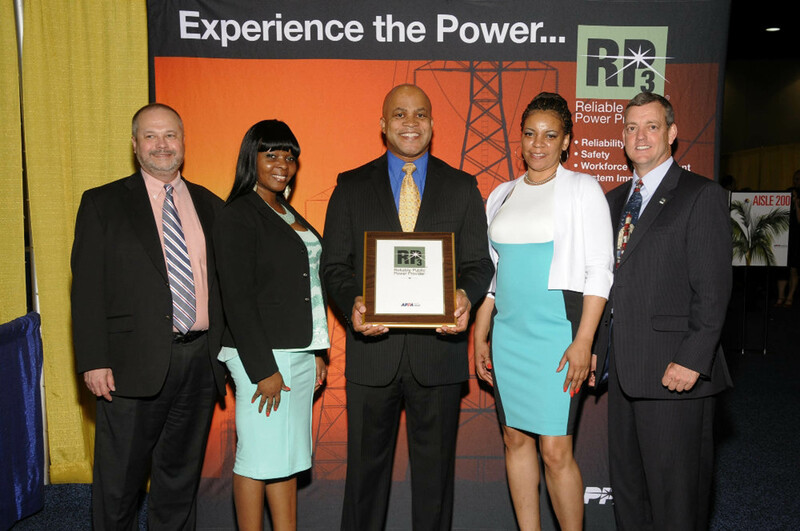 “Receiving the RP3 platinum designation means a lot to us,” said Ivan Henderson, Commissioner of Cleveland Public Power. “This is the first time that we have applied for RP3 designation and to come just a few points shy of 100 percent is awesome. It’s an honor to be recognized on a national level for the work we are doing here in Cleveland. It is a testament to the dedication of our employees to their community,” he said. The RP3 designation comes in three levels – gold, platinum and diamond. CPP’s reliability record was affirmed late last year as the utility lead electric service restoration following hurricane Sandy and helped restore customers outside of the city. CPP’s safety record had been confirmed locally and regionally over the last four years when the utility received The City of Cleveland’s “Most Improved Division in Employee Safety” for both 2010 and 2011 as well as a Safety Commendation from American Municipal Power in 2012. Reliable and SAFE!! We like that here at Cleveland Public Safety. Congratulations on this fantastic achievement!